4402 W 9th Avenue, Vancouver - 5 beds, 5 baths - For Sale | Melissa Wu - Maxcel Westcoast Realty Ltd.
VIEWS OF MOUNTAINS. 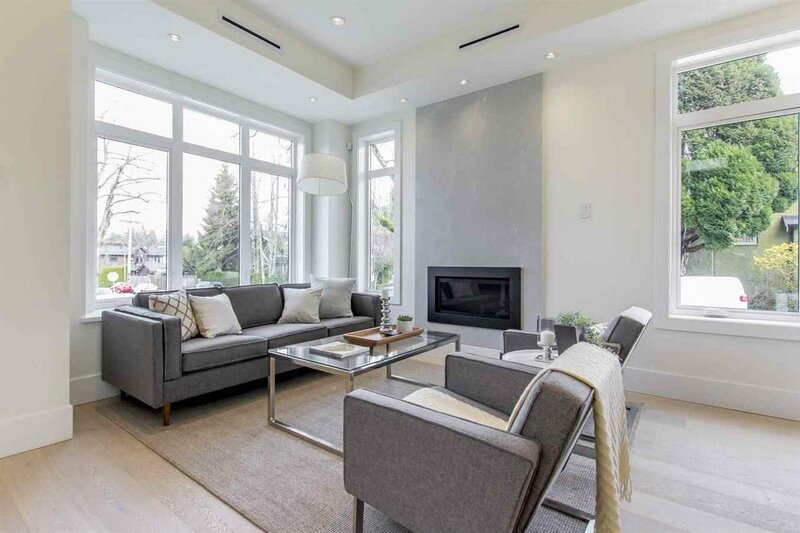 BEAUTIFUL CUSTOM built Modern NEW HOME in MOST PRESTIGIOUS POINT GREY LOCATION. ALMOST 2,700 sq.ft. living area. High ceiling, extensive used hardwood floor thru-out. Open floor plan thru-out Gourmet kitchen with high-end cabinetry & appliances. Total 5 bedrooms + den, 4.5 baths. Radiant floor heating system, A/C, HRV. SOUTHERN BACKYARD EXPOSURE and Private Fenced Yard with PARK- LIKE GARDEN. Potential 2 bedrooms suite as mortgage helper. MUST SEE!